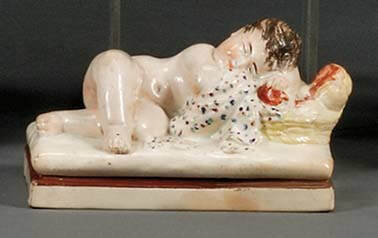 The figures shown here are all marked "WEDGWOOD," with the exception of the first three figures, which are marked Wedgwood & Co. Most of these figures are known from only one example, but in other instances a handful of examples are recorded. The three figures below with the Wedgwood & Co mark are the only ones I have recorded with this mark. All stand on the same base, and I think that all date to the latter part of Ralph Wedgwood's potting career, when he worked at the Knottingley Pottery in Yorkshire. 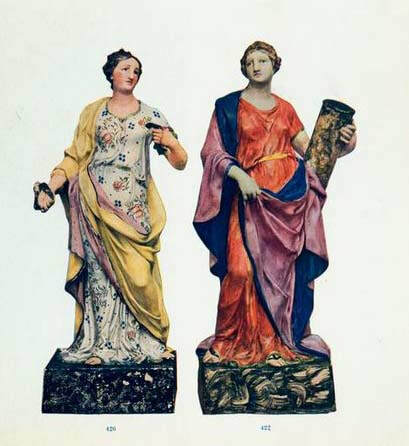 The Knottingley Pottery commenced in 1793 and operated under the name Tomlinson, Foster and Co. In June 1798, Ralph Wedgwood joined the Knottingley partnership, which was promptly renamed Tomlinson, Foster, Wedgwood and Co.--any smart business man would have wanted to add the famed Wedgwood name to the firm's letterhead. The partnership was undercapitalized and was dissolved a mere eighteen months later. 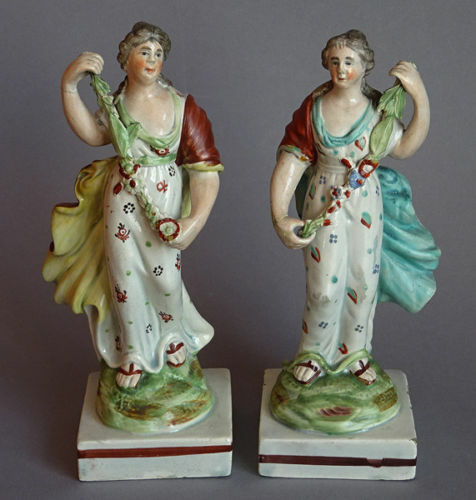 The figures marked "Wedgwood & Co" date from the eighteen month period spanning 1798-99. Courtesy the Victoria and Albert Museum, London. A lion facing in the other direction is also documented. Courtesy Bob Moores. 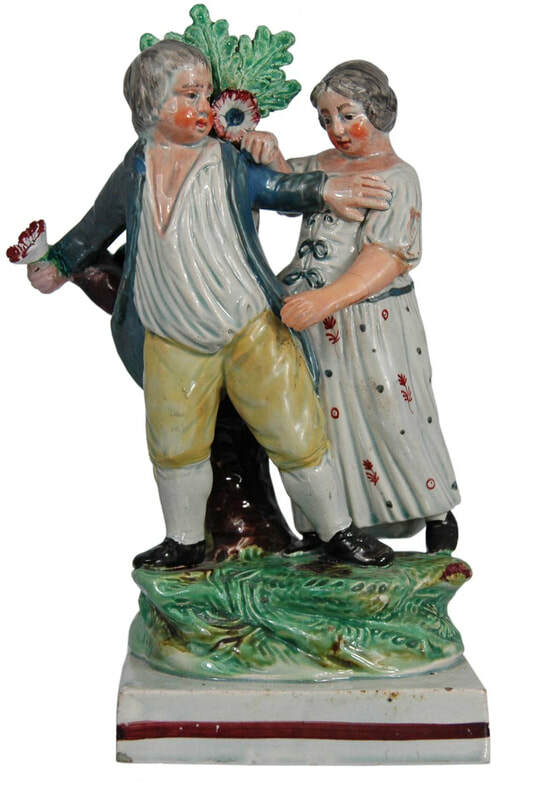 Courtesy Sotheby's from Halfpenny, "English Earthenware Figures 1780-1840." 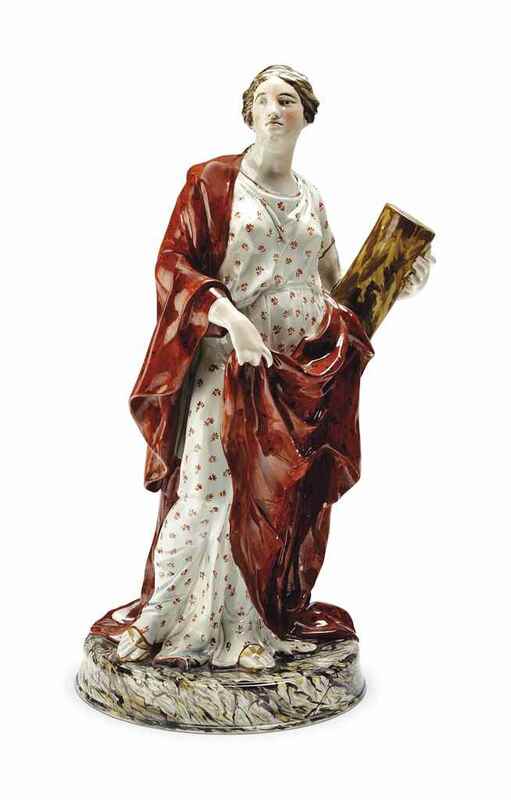 From the Christie's South Kensington sale of October 10, 2002.